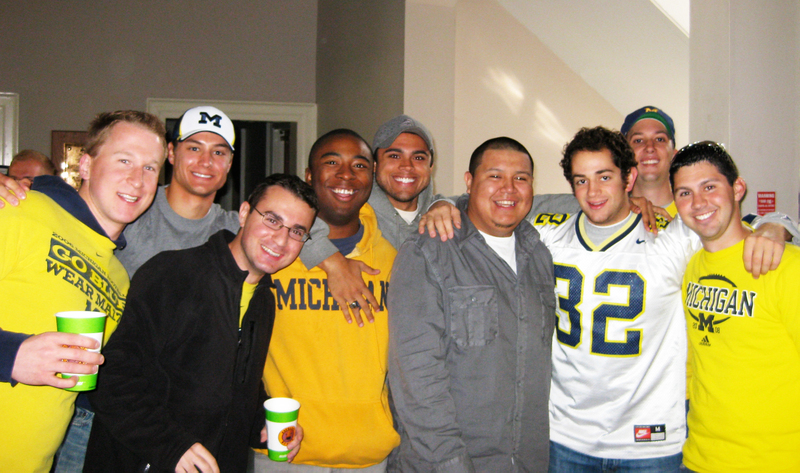 [Posted November 29, 2008] A strong contingent of alums visited Michigan Alpha's Homecoming Open House at 1437 Washtenaw. It was a classic crisp, sunny fall Saturday in Ann Arbor. The only tradition missing was a Wolverine win as the team fell to the Fighting Illini by a disappointing score of 45 to 20. Prior to the mid-afternoon kickoff, alums parked for free on the lawn and enjoyed meeting their fellow alumni and active brothers. 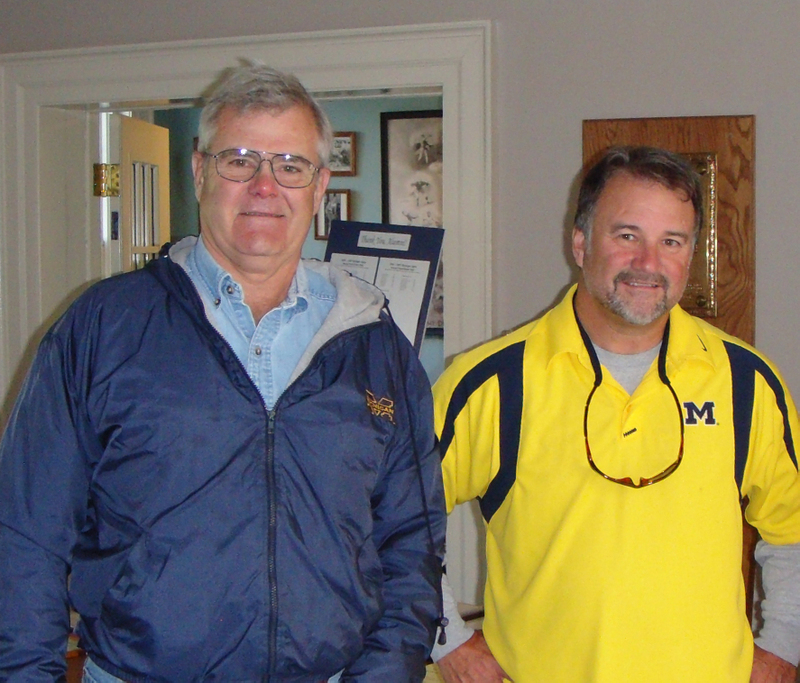 The actives had the house in top shape and put out breakfast foods with coffee to welcome returning alums as well as their guests. Alumni attendees included Dr. Ted Ludwig '61, JT (Tom) Buck '77, Tom Kelly '82, Michael Reid '82, Greg Karmazin '87, Mike Rossi '87, Derek Adragna '88, Dan Dretler '88, Randy Scheid '88, Matt Stump '88, Chris Shepard '88, Evan Isaacs '06, Jason Barley '06, Matt Scarleta '07, Kellyn Parker '07 and Jon Buck '08 among others who briefly dropped in to say hello. ***To see more pictures of Homecoming 2008, please CLICK HERE.